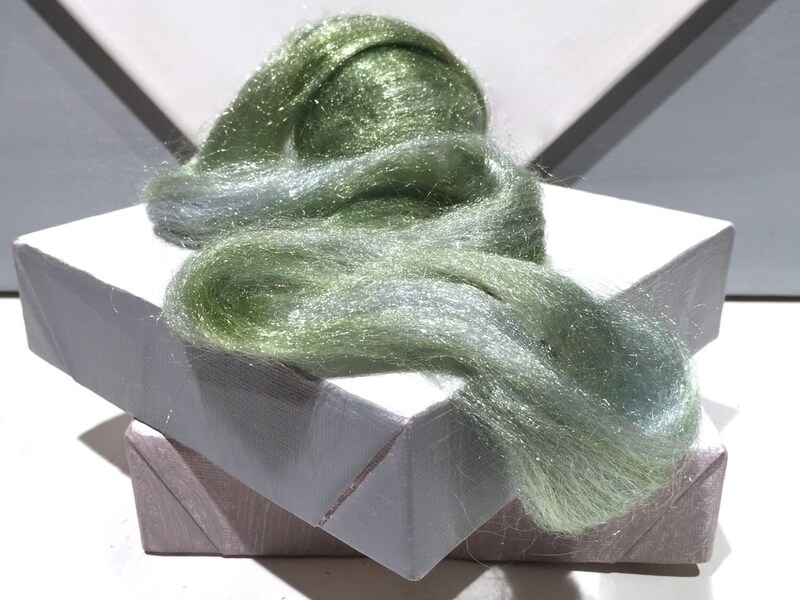 You'll get half an ounce of hand dyed Silver Green Firestar-- a fine denier nylon fiber that is very easy to blend and very soft. 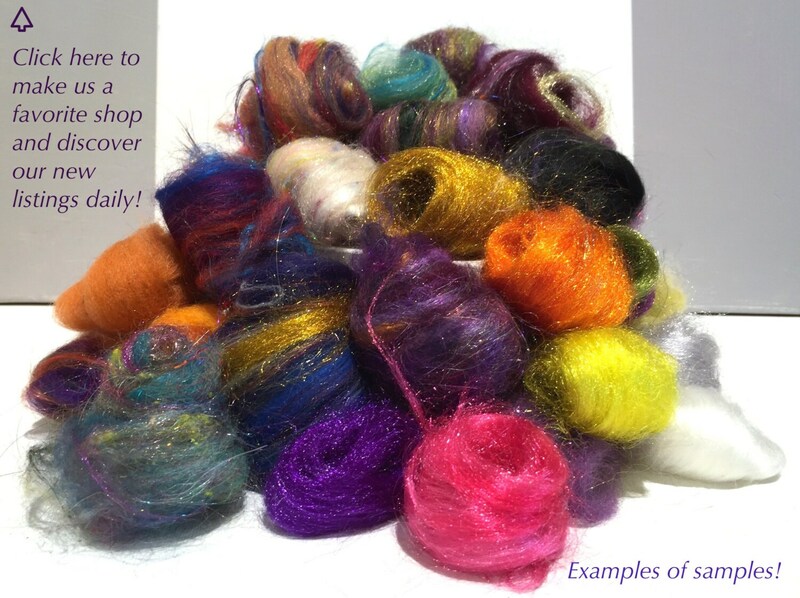 Firestar works beautifully when added to wool for wet and needle felting, spinning. It adds great luster to any other fiber. That said, do not expose to high temperatures or it will melt. These fibers are beautiful. I can hardly wait to start a project. Fast Shipping. Perfectly named, it does shimmer like ice. Super fast shipping, thanks! Thank you. Very pleased !